Do you know how healthy chia seeds are? They are rich in minerals and omega 3 fatty acids and very nutritious. 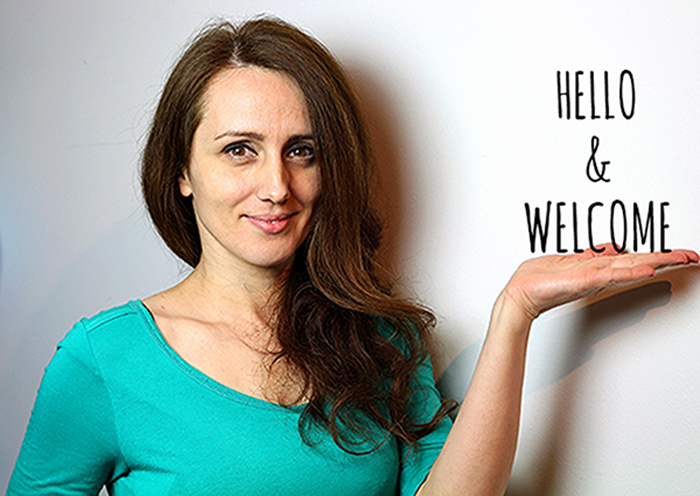 They are great if you are trying to lose weight or if you are on a restricted diet. If you are a diabetic, an athlete or simply want to have a healthy diet and lose weight, this super food, called magic seeds is perfect. 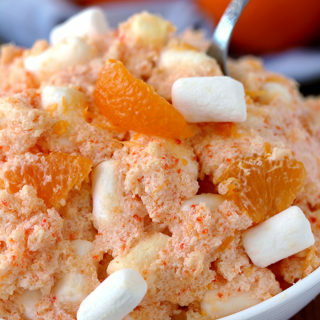 Its neutral taste makes it easy to combine with both sweet and salty foods. However, you should be careful with the recommended daily dosage. These tiny seeds are so nutritious. 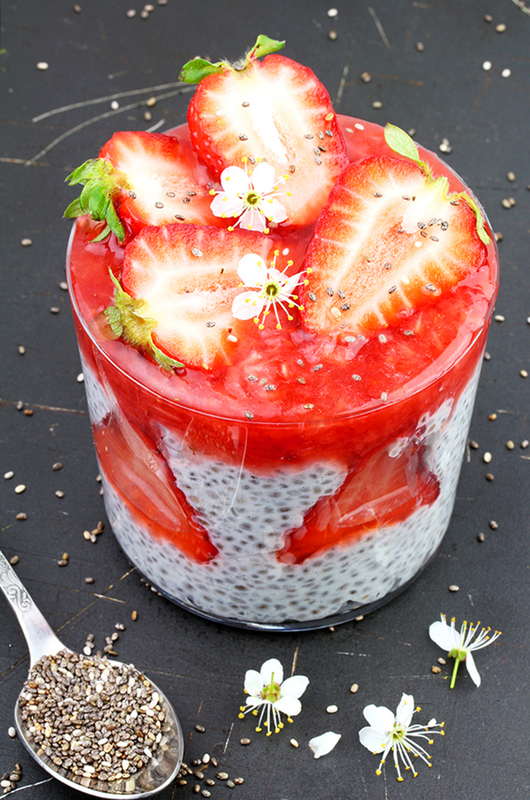 Chia pudding is the easiest dish you can make from chia seeds, by adding coconut milk, honey or some other sweetener, vanilla and strawberries. 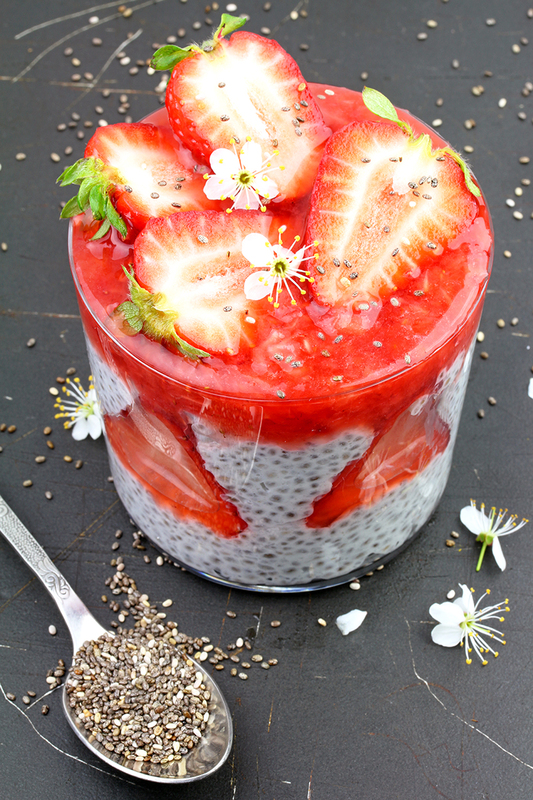 Made of healthy ingredients, easy to prepare and nutritious, Strawberry Chia Seed Pudding is a complete meal. Add some fresh fruit and it will taste even better. 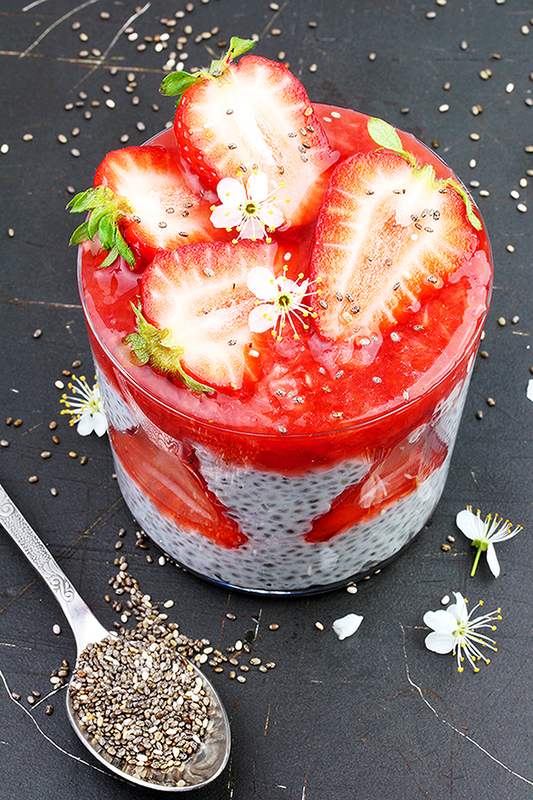 Since it is a fresh strawberries season I have decided to prepare Strawberry Chia Seed Pudding for breakfast. You can make it in the evening and enjoy its incredible taste the next morning. 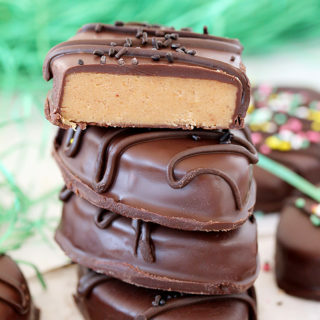 It can be a healthy snack or a dessert. Choose fruit that you prefer or make a fruit mix; add some chopped almonds, walnuts or pecans, cocoa, coconut… find your own perfect combination. 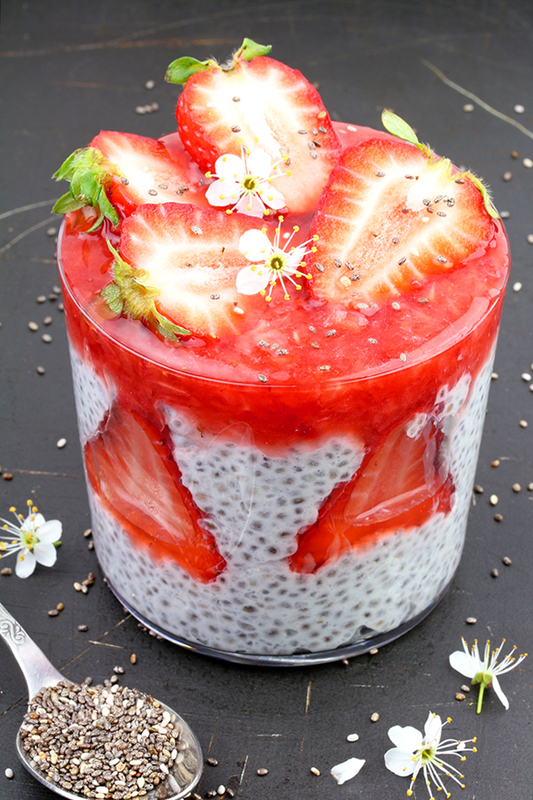 This Strawberry Chia Pudding is gluten free, so it can be used in gluten free diet. It is also suitable for all those who eat raw food and vegans, if they choose the appropriate sweetener. If you take care of your diet and want to eat healthy food, you can find more interesting Healthy and Vegan recipes on our blog. Strawberry Chia Seed Pudding is a creamy delight that looks great in a glass or a jar and tastes even better. Enjoy! Pudding - pour coconut milk in a large dish; add honey or some other sweetener and vanilla. Mix until well combined. Stir in chia seed. Keep refrigerated for at least 2 hours, possibly overnight. Topping - slice one half of strawberries and set aside. 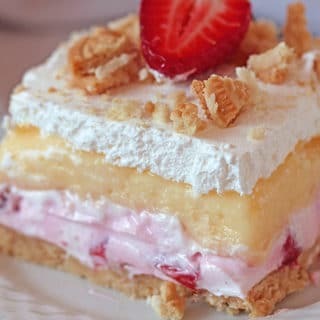 Put the other half of strawberries in a food processor and crumble them. Add honey (or other sweetener) and mix. 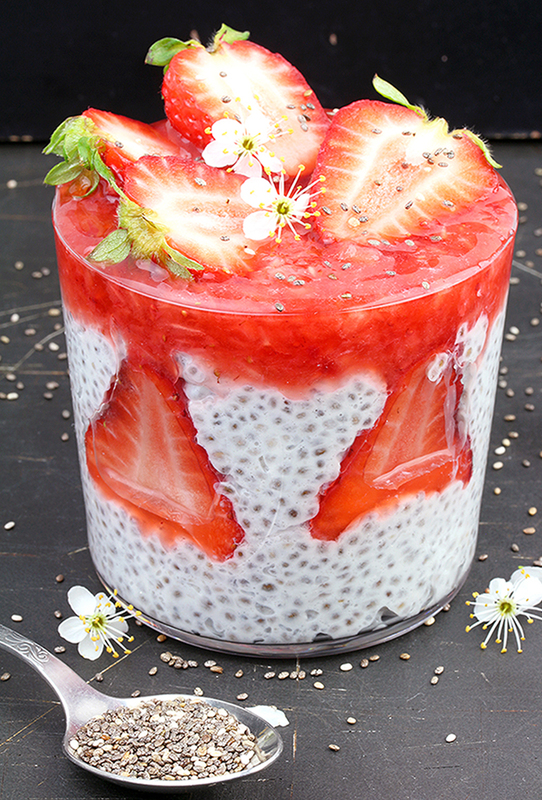 Place one layer of chia pudding on the bottom of a glass or a jar, put strawberries sliced in half, then another layer of chia pudding and finally strawberry topping. That looks so good! I can’t wait to try it. Thank you for sharing your recipe with me.